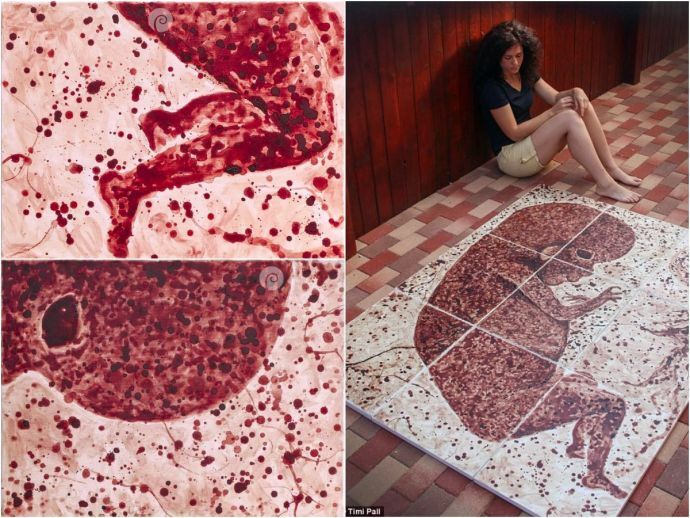 Feminist Menstruation Art, WTF ?!?! Did you hear about Menstruation art? No? - Have a look at this illustrative article - Australian art exhibition challenges the taboo of menstruation. Passing reasonable bounds, shocking, unconventional, extravagant art. Nothing to add, really. "Periods are something that affect half of all humans and yet it seems the majority of us still haven’t found a way to discuss it comfortably – something that a new art exhibition aims to poke fun at" - as mentioned in the article above. I personally got my neutral position about this kind of Art. So I am not neither for not against this. You decide in the comments below if you personally like this Art or not. Your right. Leave your comments, queries, hopes and dreams! And SUBSCRIBE to my Blog. Have an awesome day, friends!